Chhatrapati Shivaji Terminus railway station (Victoria Terminus) is an important landmark of Mumbai. It is also a heritage site and the headquarters of Central Railways of India. Designed in 1887, this station is the busiest in the country serving local trains, long-distance trains, and luxury trains. The station is built in Indo-Saracenic style, 129 years ago. It took ten years to complete the construction, spending 25 thousand USD during the 19th century. Inside the terminus, you can find interesting architectural features like ornamental iron features, pointed arches, wood carvings, grand staircases and much more that resembles this railway station with a palace of Gothic style. The gate of the terminus holds a lion figurine, which denotes Great Britain and a tiger, which represents India. Outside the terminus, you can find other statues. A statue of Queen Victoria was a part of this terminus and it was later removed. The statue was the reason for the terminus to be named as Victoria Terminus in the yesteryears. This terminus is an axis point of numerous luxury trains like Maharajas’ Express. However, this terminus is most commonly used as the arrival or departure station by Maharajas’ Express. The beauty of the station is the main reason to make this an imperial part of the train journey. Even if the tourists are an hour or so early for their check-in formalities, they can enjoy a heritage sightseeing in the terminus. Apart from the architectural beauty, it is also easier for tourists to access numerous cities and states via this terminus. Southern Sojourn and Heritage of India are the itineraries that start in Mumbai. During the check-in process, the platform of this heritage site is customized into a welcome ground to deliver the traditional red-carpet welcome that is provided to the ancient royals while visiting one of their reigns. Tourists will also be entertained with a music band playing the traditional welcome rhythm of the land. The representatives welcome you with a garland of flowers, which represent victory and a welcome drink. If you want to have an adventurous holidays and adrenaline activities, you should come to Langkawi. This is the most popular place for all island explorers. True adventurers try to go there backpacking but not as a part of excursion group. The hospitable nature welcomes you to explore 200-meter waterfalls, go trekking in ancient rainforests, or take a cable car for a panoramic view of the island. It’s easy to rent a car in Langkawi or scooter if you are travelling lightly and explore all the sites on your own time. Recently hostels have been springing up, allowing affordability for those of us going solo, and you should look through the hotel list to give you the best Langkawi has to offer! The idea of the hotel is copied from the older Austrian friend Dasparkhotel. The main concept is making guests to live in the colorful tubes, or capsules. Traditionally, the rooms are organized with large beds, special storage space, fans, sockets. It is cool and comfortable in the capsules. There is a lounge zone to relax and hotel bar to chill out. The hotel personal is friendly to help you to find a tour for trekking or boating to explore the territory and spend interesting time. The Sweet Monkey Hostel is organized not far from the Cenang Beach. This is the best visited territory in Langkawi. The beach attractions welcome you with the local food, extreme sports, impressive shopping. What about the living conditions? The common spaces are decorated with Malay and Reggae paintings. There are rooms separately for men and women. They all are conditioned, furnished with bed sets, power sockets, lamps. Of course, the bathroom and kitchen are shared zones. You may use fresh towels, hot water and bath cosmetics. Backstreet Hostel is considered to be most attractive accommodation. All beach attractions are situated nearby. Thus, you spend no more than 7 minutes to come to Cenang from your place. The rooms provide free WiFi, individual lockers, and lamps. The bathroom is traditionally shared for all hostel guests. You are offered to get an island map and all needed information about excursion tours right here at the hostel reception. For additional payment you can try yourself in water-sport attractions, relax on spa procedures, and try yourself in boxing. 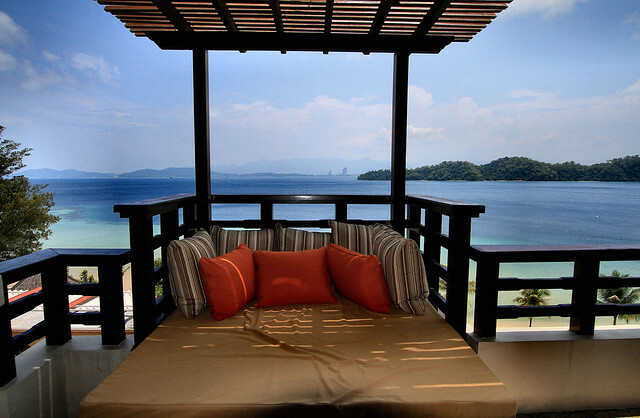 Dormitorio can be found in the territory of Cenang Beach. The local bars, food and souvenir shops, markets, restaurants are situated nearby. 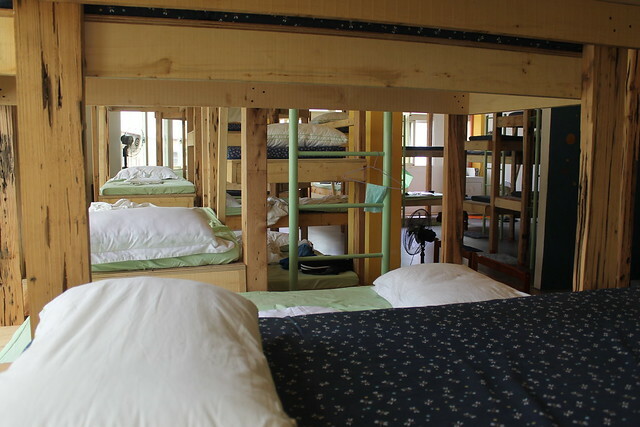 The hostel suits are wisely organized with cozy beds, individual storage space, night lamps, air conditioner, Wi-Fi. There are three rooms for 8-bed, 6-bed, and a double shared suit. The shower room is common for all guests. The toilet room is situated separately. You shouldn’t bother your head about safety measures. There are secure locks in the hostel hall and in every suit. Searching for a competent cooperation to find the best beach activities, voyages, private or group jungle excursions, you can ask hotel staff for assistance. This hospitable house welcomes you and all backpackers to stay in the cheap rooms. The hostel territory is surrounded by forest trees and mountains. The shared zones of the hostel are bathroom and kitchen. You may use fridge, washing machines, and comfortable seats to relax after the long walking day. There is also a garden to have picnic or BBQ parties. There is a rule: you cannot stay for less than 2 days. Boxpackers is another popular hostel to stay close to Cenang Beach. The suits are clean and accurate. The services you are offered here are driving to any spot of the city and suburbs for additional fee. This can be good if you haven’t car to drive on your own. Being tired from exploring the island forests, you can relax in the garden or spend time with your favorite book on a rainy day. If you want to travel somewhere not very far, you are offered to hire a bicycle or motorbike. Chalets is a unique opportunity to live in nature and learn the territory of Dayang Bunting Island. This space is friendly for all sport lovers. You shouldn’t stay at home. Go kayaking! Take a bike and go to explore the nearby jungle forests and plantations. Try fishing or spend your lazy time on a beach. The Chalet restaurant welcomes you with their interesting menu: national dishes, vegetarian cuisine, special offers for vegans. It’s hardly believe, but you can spend your night in a hostel, located among the rice fields and coconut forests. Can you believe this? You live on a villa, surrounded by deep tropical forests. There is a rest zone in the hall. If you feel bored or tired from nature, you may visit nearby restaurants with local cuisine, boutiques, souvenir shops, clubs. It takes you no more than 10 minutes to get to Cenang Beach, the most attractive beach in Langkawi. 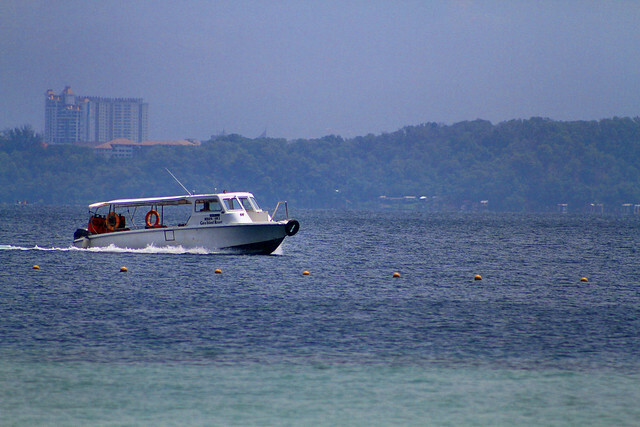 The staff is friendly to rent a transport for you to go to learn the island. It takes you no more than 5 minutes to get to your hostel from Kuah Town Centre. 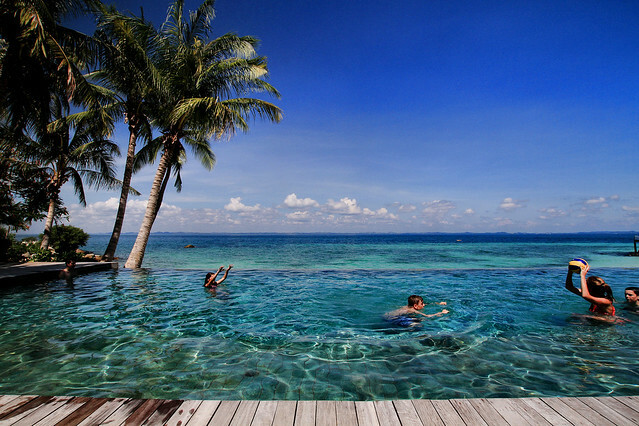 Of course, it is not situated on the beach, but the place is quiet, away from the noisy spots. There are 12 beds for six rooms. The suits are organized with conditioners, clean and fresh bed sheets and towels. Their shared services include fridge in the kitchen and bathroom. Wi Fi access can be found in every room. The hostel staff will help you to learn everything about the island, local shops, laundry spots. This hostel offers you to choose one of two comfortable 4-bed rooms. The beds are cozy and modern. This is a platform to meet new interesting people, have a pleasant time in the hotel garden or indoor shared zone. Tengah Beach is comfortable located 5 minutes walking from the place you stay. If you are sport lover, you may try yourself in surfing sport at the Kawifornia surfing center. Are you hungry? You may cook something for dinner or enjoy your mean at the Barrel Backyard BBQ.